Dad is carrying small daughter at sunset. Pope and children of sun are on an evening walk in park. 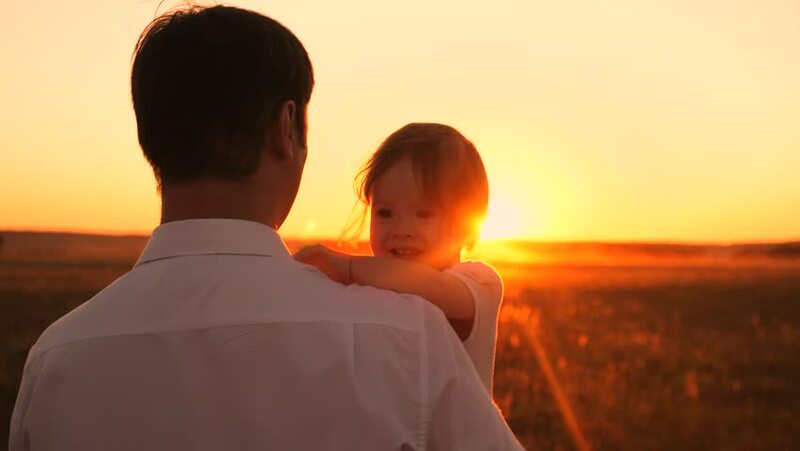 hd00:24Dad carries his little daughter in his arms, lit by rays of beautiful sunset. Happy family walks in park in summer. Slow motion. hd00:10Mother shows beauty of life to her little baby at sunset in slow motion.